Cllr. Moifee Kanneh Conducting Secret Kickball Elections? Several Kickball stakeholders have raised concern over the failure of the Liberia Kickball Federation elections committee to make public pronouncement about the LKF elections. The LKF elections are due this weekend if reports from some aspirants is anything to go by. The stakeholders said they are not sure who the qualified candidates for the election are and how individuals were qualified to contest the election. The LKF elections committee is chaired by embattled Liberia Volleyball Federation President Cllr. Moifee Kanneh who has in recent time choose to keep away from media interviews. The committee was set up last month but has failed to issue any information about the election to the public and even the LKF stakeholders. 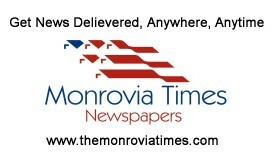 One kickball club president told The Monrovia Times tuesday that they are only getting information about the election from individuals who have expressed interest in various positions. The kickball electoral code calls for the publication of election guidelines at least twenty days to the election date. The stakeholders said the act of not issuing releases or information concerning the election is counterproductive to the LKF constitution. It remains unclear how many people are contesting the LKF weekend election. J. Yourvor Kollie and Emmanuel Surprise Whea are two persons that declared their intention to contest the LKF Presidency, but it is not clear if they have been qualified as candidates for the elections. There is no information about other candidates for other positions. Efforts by this paper to get in touch with the LKF elections Committee chairman Cllr. Moifee Kanneh has failed to materialize over the past days. The local media has struggled to get a copy of the guidelines of the LKF elections Committee. Past elections within the LKF has been well publicized, but it’s unclear why the 2018 election is been managed in “secrete” by a learned legal practitioner, Cllr. Moifee Kanneh. The lack of information on the election has caused one aspirant for the Vice President for Operations position Jusu Coleman to abstain from contesting the elections as he says he cannot partake in a race were regulations are been kept as secret. The last LKF election in 2014 conducted by another legal practitioner, Cllr. Joseph Kollie was well publicized by the media. Critics of Cllr. Moifee Kanneh says the embattled Liberia Volleyball Federation President is afraid that calling the media to release the LKF elections guidelines could renew critical reportage from the media. Up to present, owners of clubs playing in the Liberia Kickball Federation National league who should be voting in the elections said they have no knowledge about the exact time for the elections. Some say the elections will happen this Saturday, while others say Sunday either in Monrovia or Paynesville. The election is to end J.Youver Kollie’s second term as president of the Liberia Kickball Federation. It’s difficult to say who are the favorites because it’s unclear who the candidates for the elections are.